Watercolour; signed and dated. 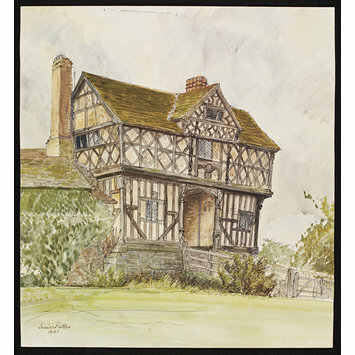 Architectural study of the ornate black-and-white timber-framed gatehouse at Stokesay Castle. 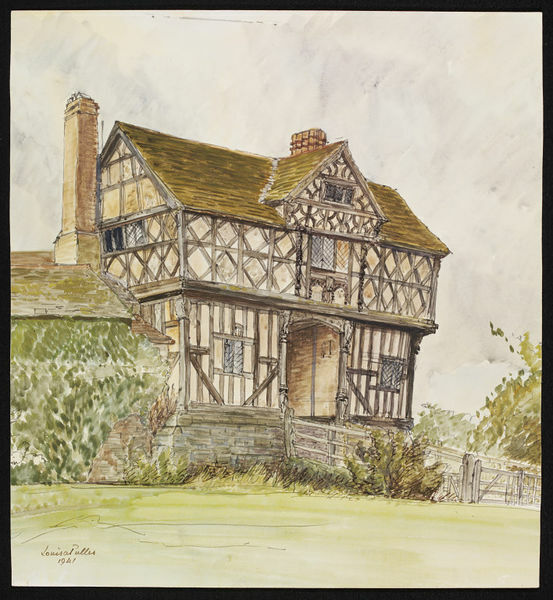 Elizabethan Gatehouse, Stokesay (Recording Britain, Shropshire).